"Hetsakais" is Swiss-German and means "there is none"- so go figure what “Chateau Hetsakais – we focus on grapes instead” stands for. Good wine comes from good grapes carefully processed in a clean environment with limited intervention. We learned that this is easier said than done, but we continue up our steep learning curve. Our goal: when drinking our wine you should feel happier and funnier than your mother ever thought possible. None of our wine is sold commercially, so to drink it you show up here. We are located in Saratoga, California on the eastern side of the Santa Cruz Mountain appellation where we planted a small vineyard of Cabernet Sauvignon grapes 1997 (“Lower Field”). In the beginning, we focused on learning how to grow grapes and sold them to local wineries. Ten years later we started building a small winery to process the grapes ourselves and increase storage capacity (“Winery”). 2009 is our first vintage - 100% cab entirely processed and bottled on location (in March 2012). In 2013 we built an air conditioned bottle cellar in the Barn. In 2014 we started planting the second vineyard with other grape varietals to produce a Bordeaux blend (“Upper Field”). The picture is annotated from Google Maps (clicking it gets you to the source, https://www.google.com/maps/@37.2670934,-122.0528425,238a,20y,320.83h,60.92t/data=!3m1!1e3 ). In a nutshell, here is what it takes to produce a bottle of our wine. Roughly 10 years from planting to consumption! 1 Pruning: cut off last year's canes at 2"
During the first 3 years the vines are trained to become strong enough to carry a full fruit load; the grape bunches are cut off early and discarded so the vines can focus on growing ther root system, trunck and cordons. Thereafter the vineyard requires significant amount of labor every year for pruning, tilling, spraying, training, netting and harvest. We built our winery in 2008-2009. The building is designed to accommodate the specialized process equipment and the cleaning and air-conditioning requirements. It also houses an extensive laboratory for analysis and monitoring. From grape bunch to mature finished mature wine in a bottle takes around 6 years. First we sort the bunches, destem them and then sort remaining dirt out of the berries. (1 day). Then the berries get fermented, the fermented must is pressed and the juice from the press is settled in a mixing tank before it goes into barrels (3-4 weeks). Then the young wine is matured in barrels, which are regularly topped up and racked (2-3 years). Then wine from selected barrels is is mixed, bottled and the bottles are stored in a cellar until the wine is mature (3-4 years). Finally labels are printed and attached to the bottles. 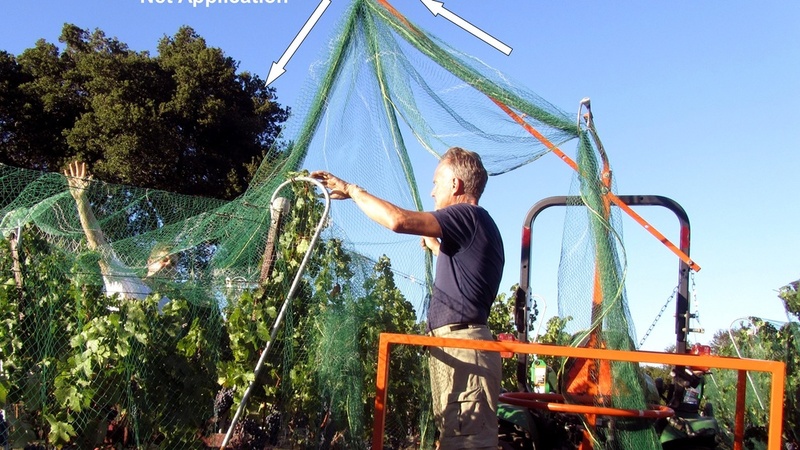 Scope: I want to understand and manage at our location the entire process from planting and tending vines in the vineyard all the way to bottling the wine and printing labels. Do-it-yourself: I want to do everything myself without hiring labor but relying on advice and help from fellow grape growers and wine-makers, professional associations and academic institutions which are abundant in our area. Economics: I want to use the latest techniques and technologies in the business if they can be applied to our small scale. This is an enthusiast’s hobby for which the only important financial decision at the outset was defining the diameter of the black hole. There are many ways to make wine depending on what kind of grapes you start with, what type of wine you want to produce, how much money you want to throw at the process and, most importantly, how much patience and time you have. We planted Cabernet-Sauvignon vines first and followed 10 years later with Merlot, Cabernet Franc and Petit Verdot with the goal of producing Bordeaux style red wine because that is what we like to drink. We bought much fancy equipment because I love playing with machines; and we expect to spend another 20+ years at it, our way of optimising QTR (Quality Time Remaining). Winery: here we explain how we designed the winery and how we make young wine out of grapes harvested on location. Cellar: here we explain how we age the young wine to maturity over a five year span, first in barrels then in bottles. Laboratory: here we explain our laboratory setup and the extensive series of chemical tests we regularly perform in-house to monitor the grape’s maturity in the vineyard and the wine’ progress in the winery and the cellars. Data Management: here we describe how we organise and manage the data generated by tracking activity in the vineyard, winery and cellars. After years or juggling spreadsheets, we developed a relational database in 2017. Resources: here is where we list our collaborators, sources of academic and professional insights, providers of equipment and supplies and books worth reading. Picture Galleries: here you get a glimpse of how we planted a vineyard, how we built a winery, how we expanded our cellar capacity and, most importantly, how we celebrate our annual harvests. We have been at this for 20 years now, enjoyed every minute and hope for another 20. We had no family tradition to leverage, but lots of enthousiasm, free resources and helpful hands around us. I have an engineering background, and I learned that you could not manage what you cannot measure. So we collect many numbers and draw lots of graphs to make sense out of them. Not what you expect from a conventional “vigneron”. Vive la difference! The primary purpose of this website is to document for ourselves what we do. We make it public to enforce quality control on what I write. We hope there are uses for sharing this information and we welcome your feedback. How many bottles we got from each vintage and when we expect the vintage to reach its best value (this is a guess at best). Note, the height of each bar reflects the relative size (in lbs) of each harvest. Note further, the number of bottles does not correlate well with the size of the harvest because we blended some vintages with purchased fruit (e.g. Merlot) or with wine from adjacent vintages. From 2016 onwards we also havested and vinified Merlot, Petit Verdot and Cabernet Franc from the upper vineyard – this would have complicated the graphic too much. 2009: We harvested 2600 lbs of good fruit and vinified it with a minimal amount of intervention to set a baseline against which to evaluate subsequent efforts. Most importantly, we fermented with indigenous yeast. 2011: Deplorable weather conditions reduced the yield (only 1000 lbs harvest) and the ripeness of the grapes (only 22 Brix). The result was a relatively light wine which can be consumed much earlier. 2013: An exceptional year weather-wise resulting in great fruit (note the high Anthocyanin levels). The phenolic analysis guided us for the first time to press the skins before fermentation was complete. We had problems with the Malolactic fermentation – it took much longer and never completed. This vintage would have turned to be the best if we had not experienced bacterial infections creating high levels of Volatile Acidity. 2014: Another good year weather-wise, but with a reduced crop because the Eutypa infection was spreading in the vineyard. We needed to use excess wine from 2012 to fill the second barrel. 2015: A warm winter and cool spring reduced the crop to 1080 lbs, the lowest ever. We also failed to spray the vineyard properly against mildew, so we ended up with a lot of shrivelled fruit of relatively low quality. We vinified the different cabernet clones seperately and so, for the first time, realised the significant differences in fruit quality in the vineyard. Still, we combined the three separate fermentations in a single barrel. 2016: A cooler year throughout but with large temperature swings, particularly through veraison. First pick of Merlot, Cab Franc and Petit Verdot in the upper field added 400 lbs to bring the total harvest to 2700 lbs. Unfortunately, the phenolic quality was poor, particularly in the short rows, probably because of the temperature spike during veraison and because we picked 1-2 weeks too late due to sampling errors. We returned to indigeneous fermentations and stopped using enzymes, and we vinified the different clones in 7 separate fermentation tanks. 2017: A peculiar year starting with a cool spring followed by severe heat-spikes in the summer. This messed up berry maturation, masked significant mildew pressure and led to a poor harvest. We harvested around 800 lbs in the upper field and 2,500 lbs in long rows of the lower field – but left over 30% in the field due to mildew and shriveled berries, and did not even pick the short rows. We fermented again with indigeneous yeast in 7 separate fermentation tanks. Then we free-flowed (no press) the fermented juice into 1 ½ new French oak barrels. There are, alas, a few technical terms in the preceeding paragraphs – we will explain them in the subsequent sections of this website. Vineyard trumps winery: the most critical input to excellent wine is great, clean grapes. You cannot make excellent wine out of mediocre grapes, but you can easily make mediocre wine from great grapes. So it is essential to understand and control the vinyard first. The average quality of wine produced commercially has significantly increased while the production costs have tumbled (inflation adjusted) over the last 30 years because the industry has learned to streamline the production process and eliminate bacterial contamination. Industrialization, global branding and distribution has increased volume and quality but significantly decreased diversity: today 99% of global wine production is “manufactured industrially” and controlled by 1% of the brands. Small vineries can only stay commercially viable if they produce a unique product for a local market – and many do. At our scale, we will always remain an expensive hobby. The scientific understanding of what exactly makes superior grapes and wine is surprisingly limited. 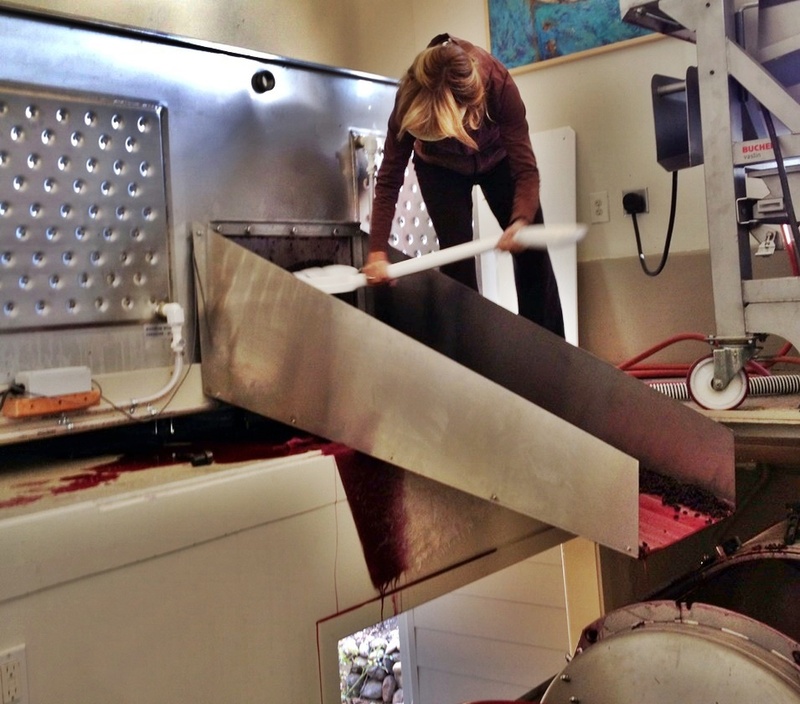 We know what makes lousy wine, and we measure much stuff because we can, and it helps to reduce mistakes. Making great wine is a craft honed over decades if not generations of experience – and the tricks are seldomly shared. In our situation, we keep our ear to the ground to pick up ideas and tricks while we track numbers so we can at least learn from our mistakes. Only well established brands need to make similar wine every year – because that is what the consumer has been promised. The boutique wineries have the freedom to make the best of what the year’s grape can give. A good wine maker in a large winery makes the same sound wine regardless of the yearly change in grape characteristics; a good wine maker in a small winery makes different wine every year exploiting the yearly changes in grape characteristics – the jobs are different but equally challenging. Our goal is the latter. We see ourselves progressing along the following steps: i) making wine, ii) making wine without basic faults, iii) making good wine, iv) making good wine that could be sold at a profit, v) making great wine and vi) making great wine profitably. If we are lucky, we may get to step v before 2030. We developed the content of this website first in Microsoft Word, with tables and charts in Excel, graphics in Visio and pictures edited in PhotoScape. Since 2017 we colect and manage data in FileMaker, a relational database. The contents of the Word document were transferred to a Squarespace platform and hosted on Google. A website is not the ideal medium to hold what is essentially a giant living document. It is good for browsing but cumbersome to read at length. To help out, we post recent pdf files of the different sections in the links which follow, so you can download and print or read off-line.